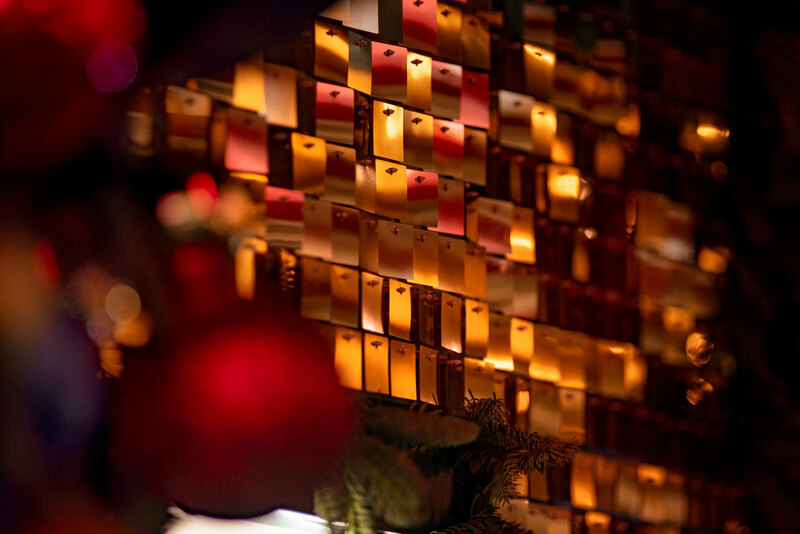 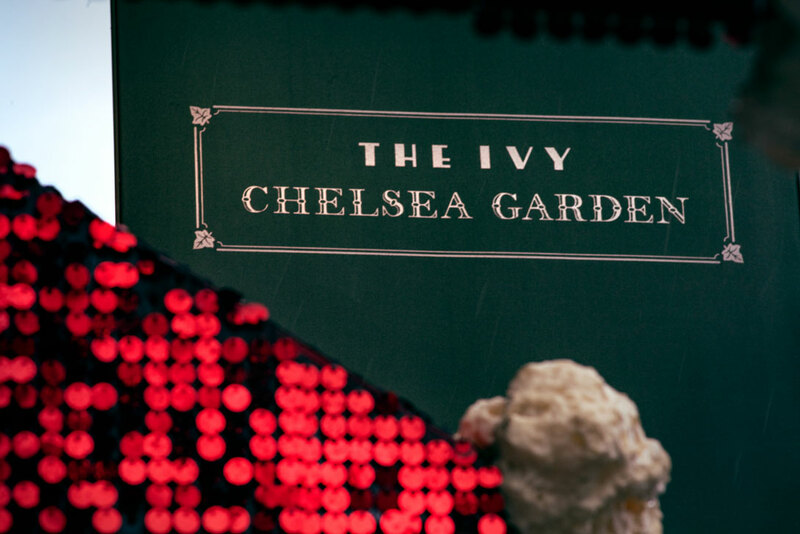 We were delighted last Christmas to be asked by the team at Early Hours Ltd to provide our sequin boards for Ivy Chelsea to provide a red sequin roof to their stunning ginger bread house theme for this iconic restaurants’ Christmas Decoration. 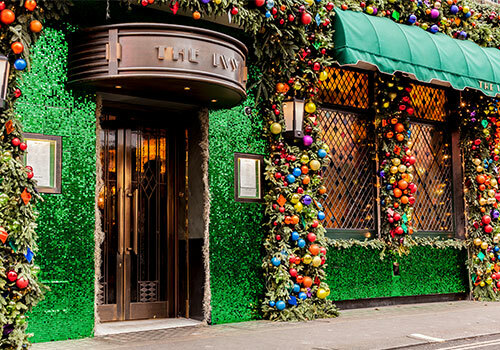 Early Hours created a truly stunning installation to delight and wow not only The Ivy’s clientele but also due to their King’s Road Chelsea location a massive footfall of Christmas shoppers and locals. 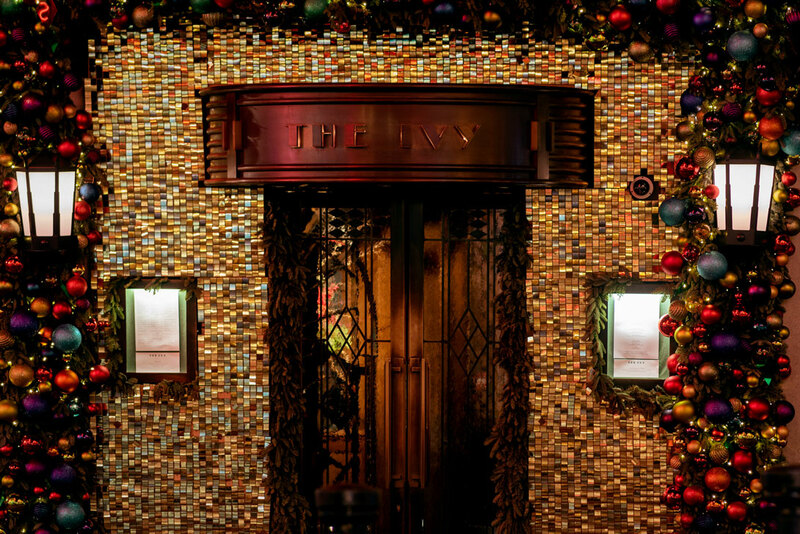 For the Ivy restaurant Soho we provided our light gold square sequins which were used as part of the interior and exterior Christmas decoration for this restaurant. 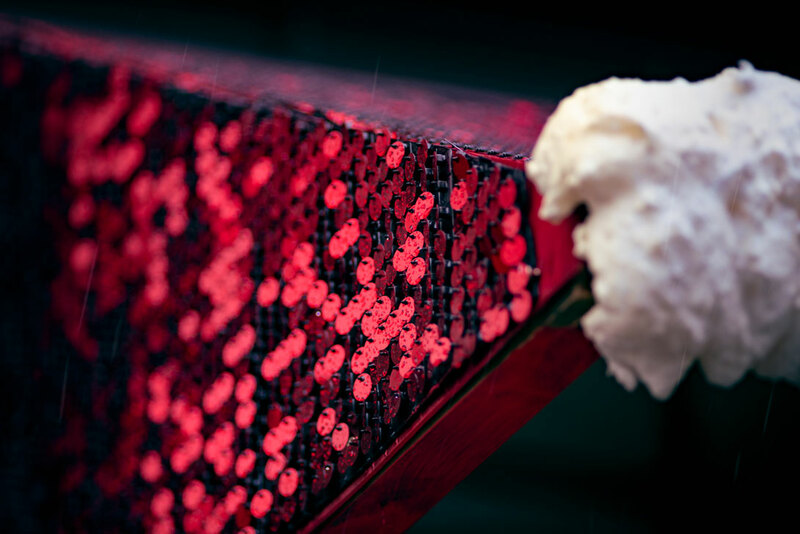 This soft gold tone sequin used in a 30mm square format completed and reflected the Christmas décor elements in the restaurant and made a shimmering entrance for the diners.